Using StemGrip is as easy as 1-2-3! 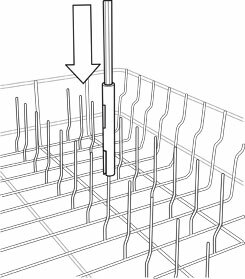 Lower the StemGrip post onto one of the tines in your dishwasher. 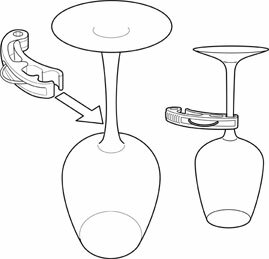 Take one clip, turn the stemware upside down and clip the stem of the glass. As you place the glass near the StemGrip post, slide the octagonal side of the clip over the post and lower. 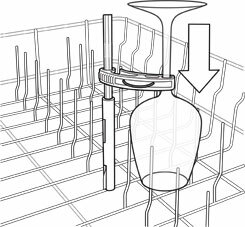 Repeat steps 2-3 for additional stemware (up to 4 with each set).